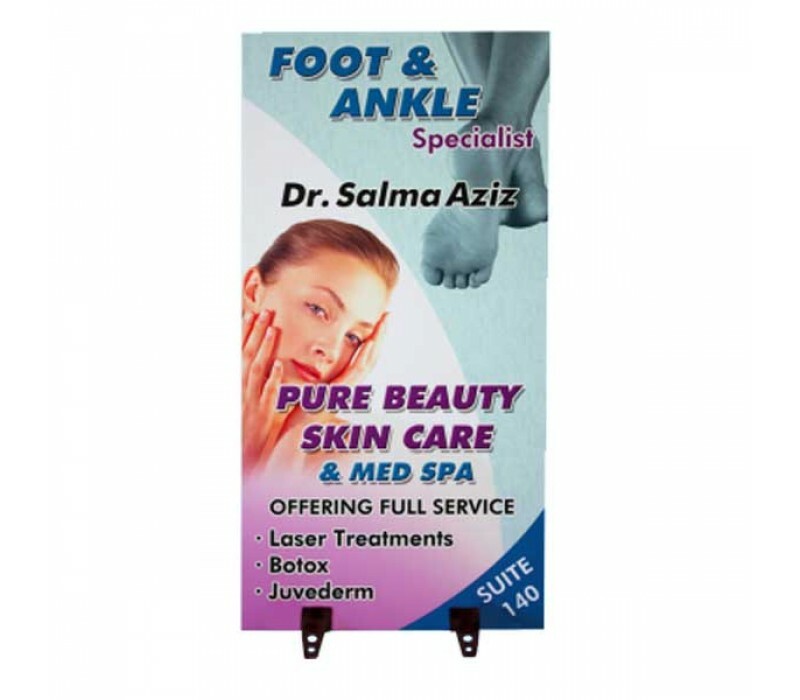 SpiderFeet™ are for use with your choice of solid sign substrates. Can be used for Signs, Tradeshow Displays, Marketing Displays and Menu Boards. 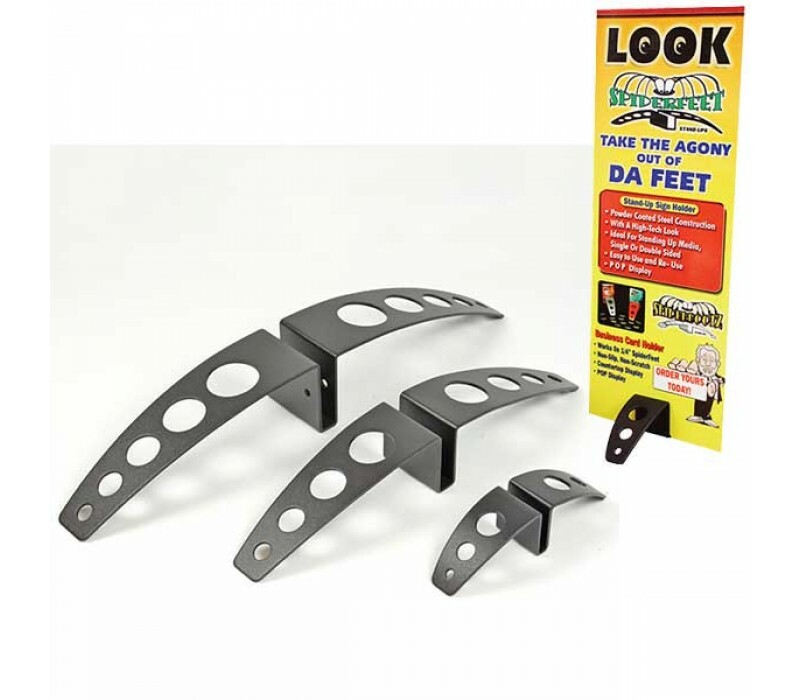 Spider Feet are made of solid steel to create a stable stand up substrate base for use on tables and floors. 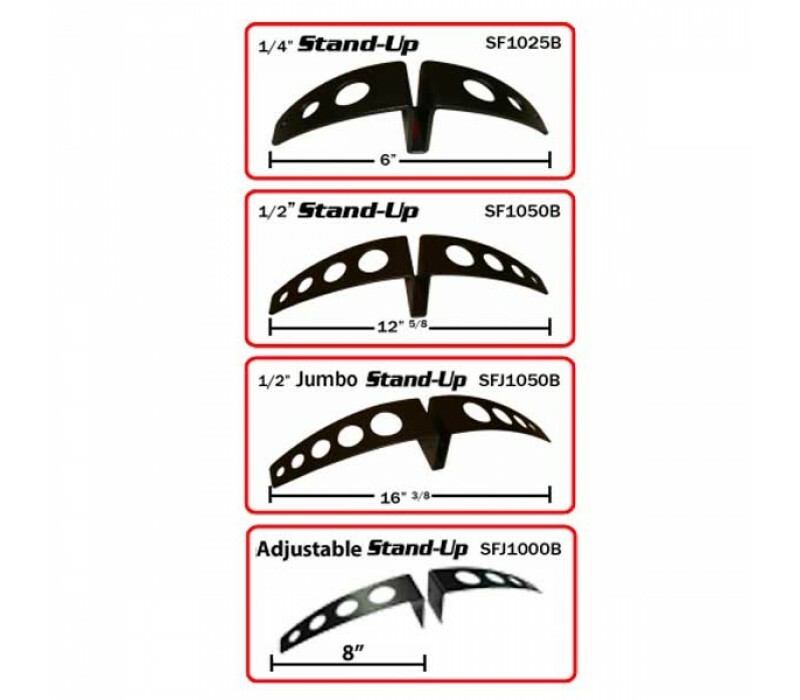 Spider Feet come in ¼” and ½” base widths and as a jumbo adjustable Spider Feet for thinner or thicker solid sign substrates like foamboard, plastics and woods. 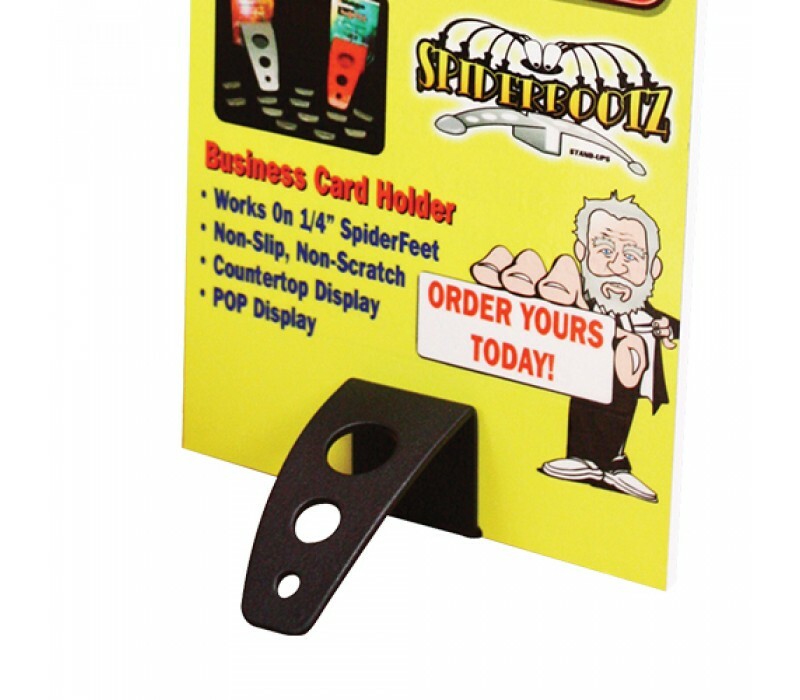 Screw holes located in each Spider Feet allows for you to secure them to your sign or graphics board. Price is for 1 base only and does not include sign shown. Larger signs will require 2 or more Spider Feet.